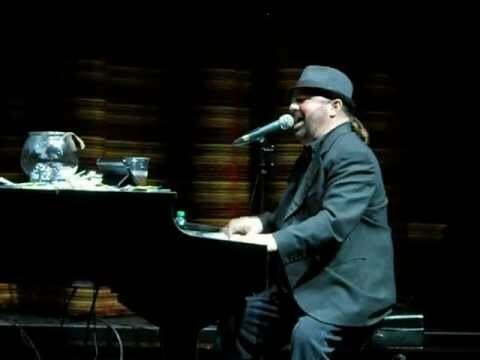 Most Thursday nights (but not all, so call ahead), there is a 4 hour 2-person dueling piano show on the main stage of this casino. 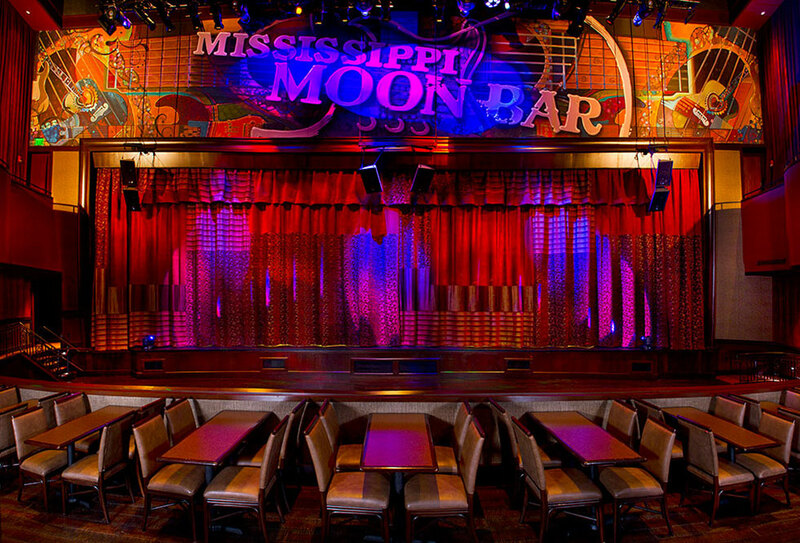 They call it the Mississippi Moon Bar, but it's much more like a beautiful Las Vegas showroom from the 1950's. 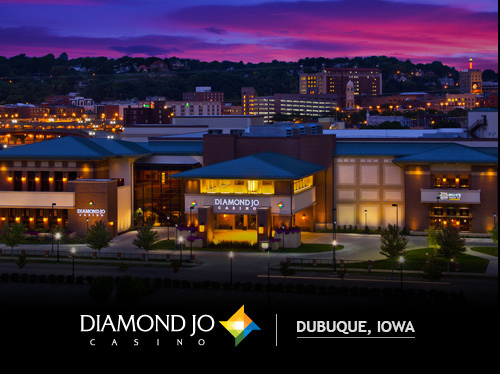 It attracts a fun crowd of Dubuque locals of all ages, even though most of the casino patrons tend toward the blue/silver hair set. Because it's a large casino, there is ample parking, and many food choices. The show gets going around 7pm and doesn't stop until 11pm. Seating is in large, beautiful leather half-moon shaped booths that open up towards the main stage. It's a striking venue, and it's the only regularly scheduled Dueling Piano show for miles around.